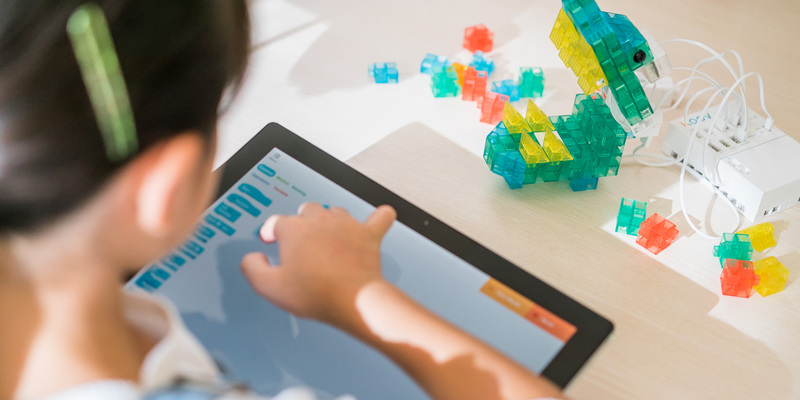 KOOV, the connected robotic and coding kit produced by Sony Global Education, is coming soon to the USA. We talked to Sony Global Education President, Masaaki Isozu and Creative Director, Daisuke Ishida about how KOOV came into being and where it will be going from here. Masaaki Isozu, President of Sony Global Education, Inc.
Daisuke Ishida, Creative Director at Sony Global Education, Inc.
What was the background behind the establishment of Sony Global Education, Inc. in April 2015? Isozu: Everything started in 2012, three years before Sony Global Education officially began. The Sony Computer Science Laboratories research department supports some business incubation ideas within Sony and it was there that everything started. I could see that the education industry had huge potential to be changed for the better through innovation with our technology – I felt Sony could make a meaningful difference. What was the idea of Sony’s ‘innovation’ in such a huge market? Isozu: The industry education has actually been lagging behind in innovation in spite of the size of the market. In Japan, there has not been any significant change in education until today – the vast majority of people still prefer to hold onto the tried and tested ‘traditional’ style. For example, in Japan, we have to deliver the curriculum in the same style, in every region around the country according to the Ministry of Education guidelines. This was a valuable approach in terms of guaranteeing the quality of education, but it also meant that it was hard to provide personalized education for each student. 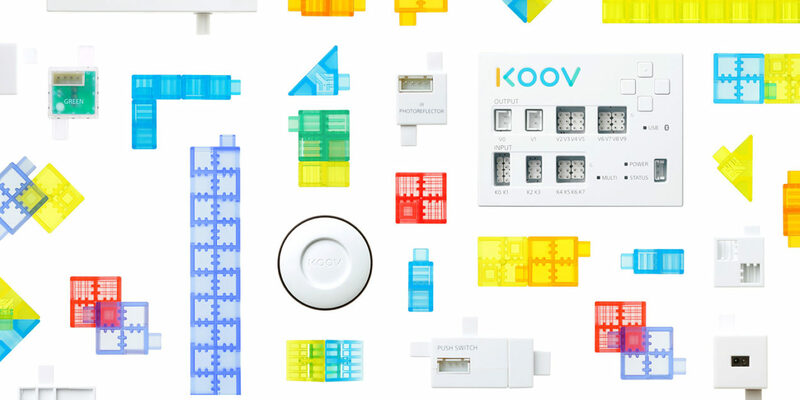 KOOV blocks, sensors, actuators and more. Because of these guidelines, each approach always had to fit in with prescribed subjects, with the class time of 45 to 50 minutes in the same classroom. This one-size-fits-all approach can create many issues for students of different abilities, and even though many of these problems can all be solved by technology, they have been left untouched. Playing with KOOV leads kids to spontaneous, creative learning. Sony Global Education has been holding an online math contest, Global Math Challenge, since 2015, while KOOV will be the very first hardware product. How does KOOV fit in to your corporate philosophy? 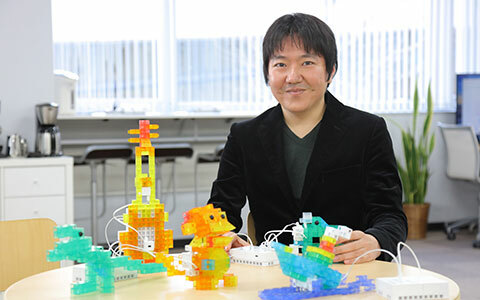 Ishida: Coding skills will certainly become an essential skill for kids, especially from 2020, when coding will become a compulsory topic in elementary schools in Japan. It will be a new tool to express ourselves as we do now by writing essays, for example. As Sony, we wanted to make KOOV a starting point for kids entering this new world. KOOV was co-developed with Artec Co., Ltd. What was the background of the idea of arranging the Artec blocks? Isozu: It could have been a possibility that we develop the product on our own, but as Sony is a major company, it could easily take a few years to bring our idea into an actual product. We, as a new start-up-style company, wanted to bring the product into the world speedily. Since Artec already had experience in the field, we decided to work together. What was the reaction from teachers and parents who are on the teaching side? Isozu: We are getting even better evaluations from teachers and parents than kids after trying the product. In fact, many parents say that they wanted to use KOOV first before they let their kids start playing with it. A significant point we noticed is that the rise in education technology is happening only in the major cities of Japan. We need to think about how we can make this kind of educational technology available to anyone, regardless of if they are in a big city or not. The problem especially applies to teachers who, in the recent years, have been asked to teach (and learn) more and more subjects. When it comes to something completely new, teachers tend to feel reluctant to take the first step. 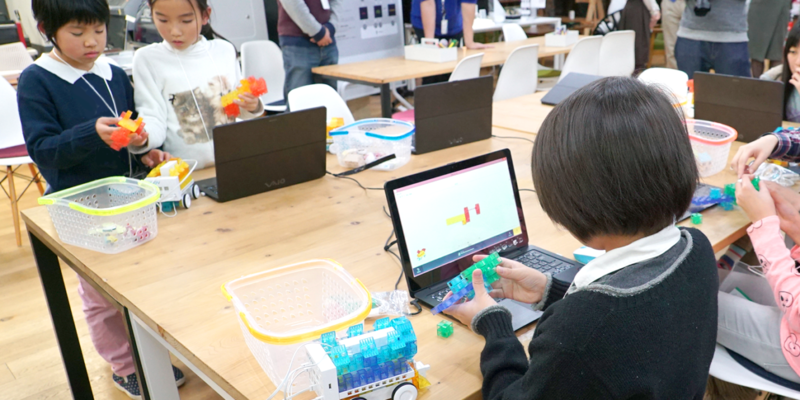 Some teachers in Japan don’t yet feel so comfortable around coding, or even with technology in general. How do you think KOOV can help? 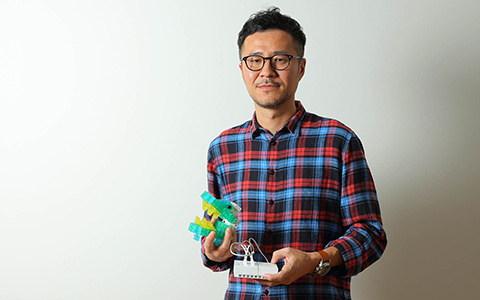 Isozu: The fact that some teachers in Japan are not that familiar with modern technology made us think about how we can make a “coding kit that doesn’t need a teacher”. One thing that makes KOOV unique compared to other coding kits is that we use real, physical building blocks. These blocks enable kids to “tinker” – play around with blocks and repeat the process of assembling and disassembling. They don’t need to learn from someone else because they can find the way to learn on their own. I think coding is not something that you learn from someone else in the first place. Most engineers from my generation were practically learning on their own. With KOOV, we have prepared different Robot Recipes so that even small kids can build robots by following the online guide, then send the pre-written code to their robot to make it come to life, all without any assistance. It may be difficult at first to understand why the robots are moving, but we hope that the excitement and feeling of success kids find with KOOV can stimulate their interest towards coding. Not only teachers but some parents are also not equipped with coding skills to teach their kids. KOOV could certainly be a useful kit for them. Whenever we try to introduce coding to schools, we face the same problem of shortage with the teachers with coding skills. Perhaps that is where we need to start the innovation from. We don’t necessarily need to ask someone to “teach”, but we would rather learn from kids! As well as KOOV coming soon to the USA, it was also selected for the Good Design Gold Award 2016 in Japan and a 2017 iF Design Award. What else can we expect from KOOV in the near future? Ishida: At the time, KOOV was still at the developing stage so we were all very surprised to be selected as one of the best 100 products. The Good Design Awards evaluate the valuable creativity towards the society and the characteristic of educational tool could have made our product match their philosophy. We would also like to use our platform for “Global Math Challenge” to add more functions so that kids around the world can connect in a secure way. Hopefully, we would be able to make an environment where kids can share their robots with other creators and give ideas to each other. KOOV is available now in Japan and China and is coming soon to the USA. Visit www.KOOV.io to find out all the latest news.